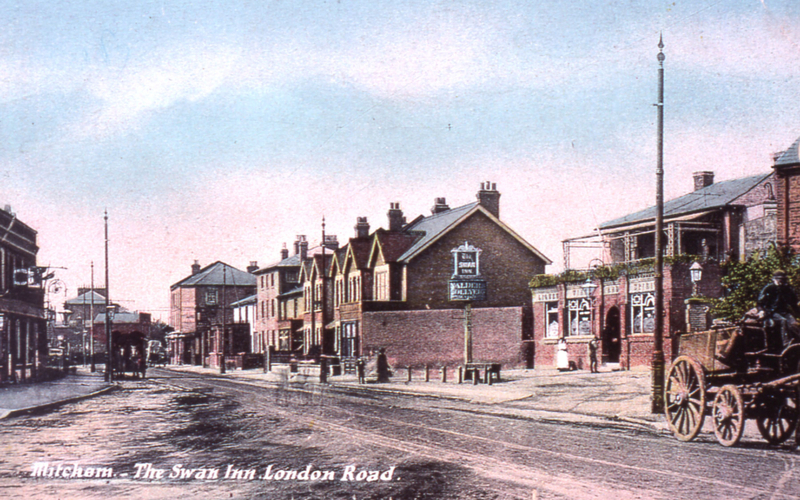 'Mitcham, The Swan Inn, London Road'. 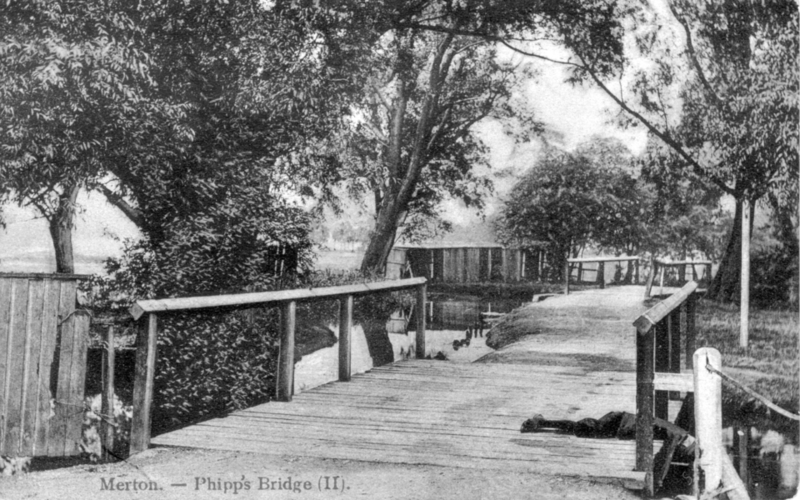 Postcard c.1905. Looking south. 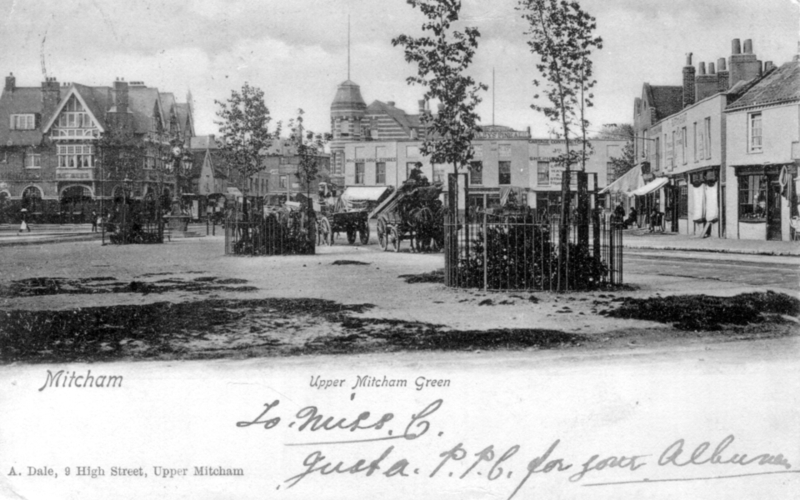 'Upper Mitcham Green'. Postcard dated 1904. 'Merton, Phipp's Bridge'. Edwardian postcard. London Road, Mitcham. Undated Tuck postcard, early 1950s. 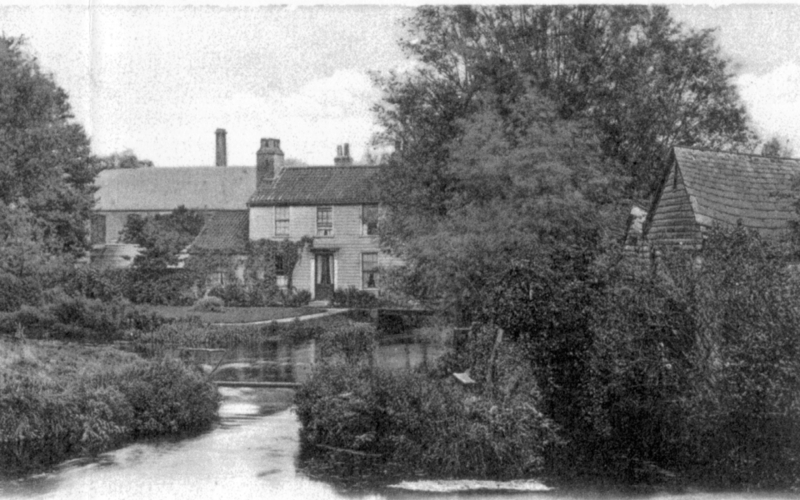 Crown Mill (left), Wandle Cottage (475 London Road), and Morden Snuff Mill (right) Mitcham. Undated postcard. 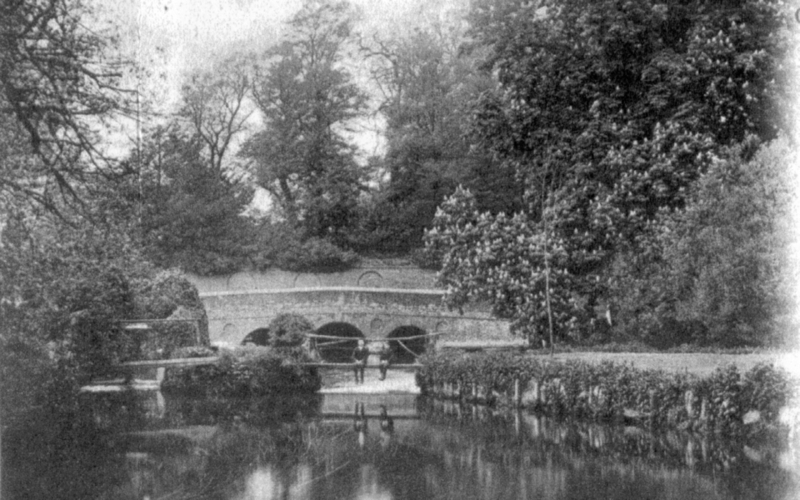 'The Wandle, Mitcham'. 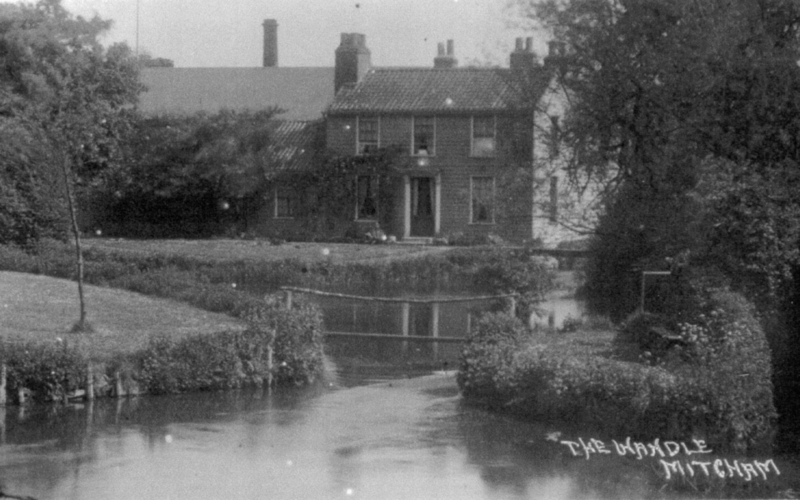 Mill cottages above Mitcham Bridge. Undated postcard. 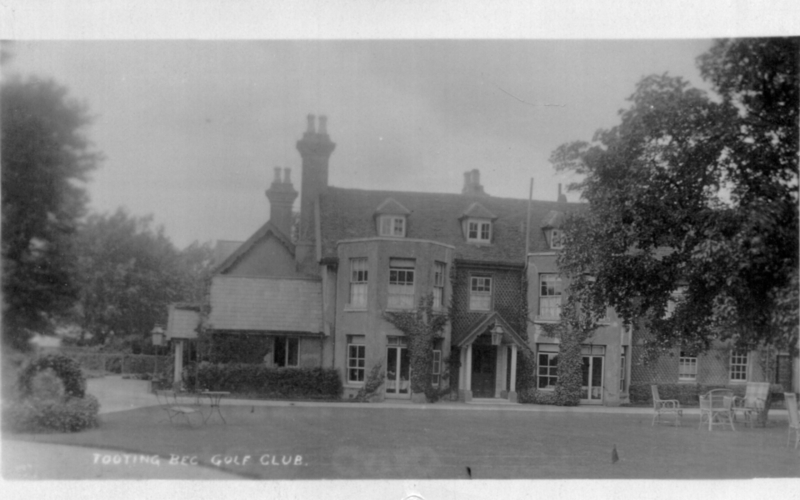 Mitcham is famous for many things – Cricket, the Fair, Lavender, Mitcham Common, the Anglo-Saxon Cemetery, the industries along the River Wandle. To explore each period further, select from the links on the right. The information on the following pages has been extracted from Eric Montague’s 1987 booklet Mitcham: a brief history. 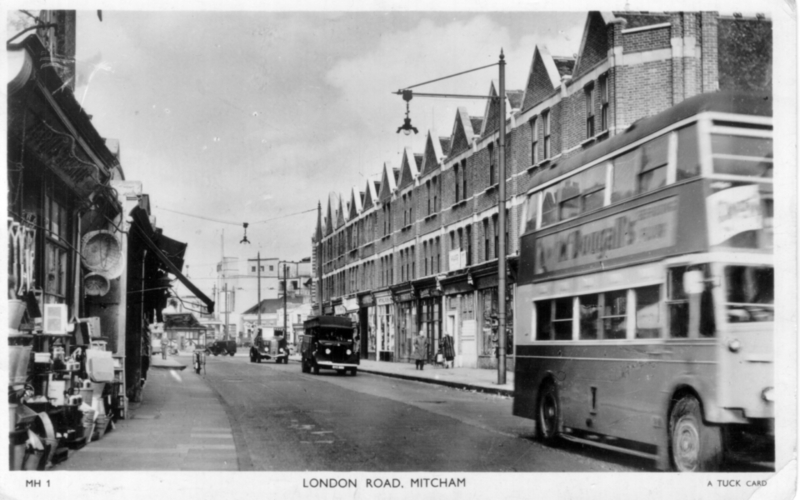 Eric researched the history of Mitcham for over 40 years, and much of his work has been published, including his multi-volumed Mitcham Histories, each of which covers one area of historic Mitcham, and unfolds its history from the earliest times until the present. Eric was also an avid photographer of the area. Click here to explore his collection of Mitcham photographs, mostly from the 1960s and 1970s.